Click For Animal Word Search Puzzles! Great For Kids Of All Ages. Try An Animal Word Search Puzzle! 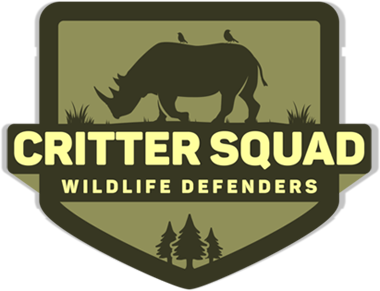 Critter Squad Wildlife Defenders creates multiple varieties of digital animal activities, including Animal Word Search Puzzles! That’s right defenders, we have lots of animal word searches for you and your friends or fellow classmates to complete at anytime! Our word searches even include animal facts from our friendly wildlife defender ambassador friends! So, be sure to head on over to our kids zone to download all the exciting animal word searches that we have! To help make things easier we have added some links to some of our most popular word searches below. We know there are so many reptile lovers out there nowadays. So, we have created some great reptile word searches for you to enjoy! Just in case reptiles aren’t your thing we have added the links to some popular mammal word searches! Lastly, we added two word searches that our defenders in class love doing, which is our Hermit Crab word search and our African animals word search puzzle. Don’t forget defenders we have lots more animal word searches available on the kids zone section of our website. In the kids zone you will also find, animal fact sheets, animal video games, the animal of the week, along with lots more fun animals activities for kids of all ages! These Animal Word Search Puzzles are also a great hand out for after your defenders animal birthday party!